In the fashion industry, there always seems to be a ping-pong match going on, with simplicity-loving, less-is-more minimalists on one side and the neon-orange, color-clashing maximalists on the other. It’s a really interesting game, and it fascinates me every time. The concept itself is pretty straightforward if you think about it. Minimalism manifests the majesty of staying subtle, while maximalism presents the beauty of being bold. (#Alliteration Alert.) Both styles have repeatedly, throughout time, been the best examples of fashion adapting itself to reconcile with the atmosphere of the rest of society(especially the economy). Minimalism has always showed itself at times of economical struggle. For example, when Lehman Brothers (which was a global financial services firm) declared bankruptcy six years ago(“It’s already been SIX years? !”) in 2008, the fashion industry started to turn its back on the previously in-style trends of bright colors and magnified, striking patterns. The big names like Prada, Louis Vuitton, Yves Saint Laurent all turned to a more held-back, austere look. However, recently the fashion industry has distinctly been shifting towards maximalism. Right now, it’s less about practicality and form, but more tilted towards sensual, visually rich designs. My theory is that this phenomenon is occurring in the current fashion world because everything about recent times has been fluctuating and changing, top-speed. Some of the most looked up terms on Google last year(2013) were: the Defense of Marriage Act, twerking, Molly etc. The Defense of Marriage Act being ruled unconstitutional(specifically Unit 3) was definitely a milestone in the history of humanity. It was an important event that marked a change in our perception of marriage and love. Twerking was also an issue, with Miley Cyrus performing her provocative stunts and flaunting her never-seen-before, unique theme in her music videos and live performances. And just take a look at music. 2013’s most watched music video online was Psy’s GENTLEMAN M/V. The most viewed trending video on Youtube was ‘The Fox (What Does the Fox Say? )’ by Ylvis. ‘Harlem Shake (Original Army Edition)’ was a runner-up. Current trends in music reflect outgoing bursts of upbeat fun and visually overwhelming scenes. We’re in an era of celebrating loud expression and free, wild styles. 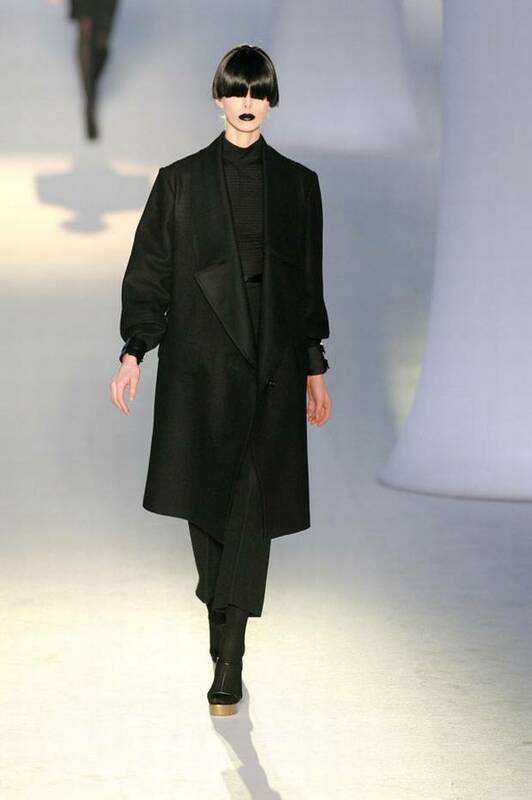 Phoebe Philo, the prestigious designer from Céline, made it clear to the world that minimalism is over (for now. As we’ve seen in the past, no trend is ever REALLY over.) 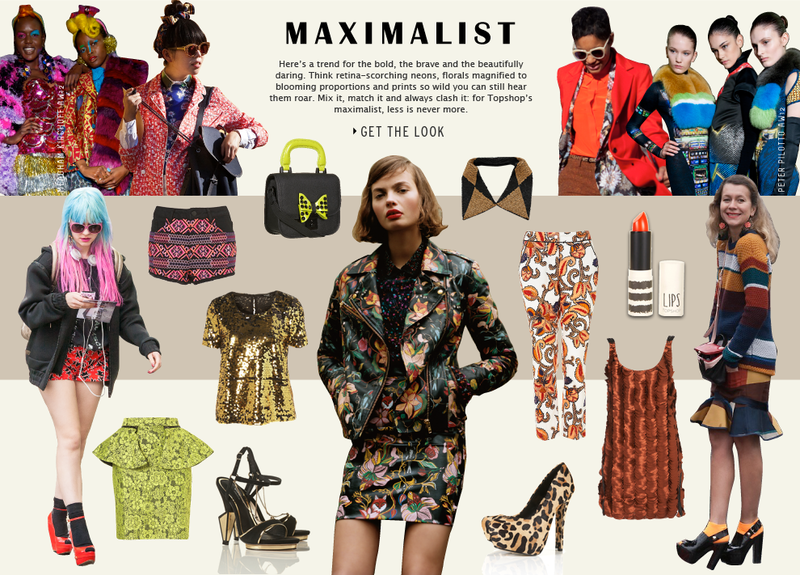 and maximalism is newly on the rise this season at Paris Fashion Week (Spring ’14). It was a shock and quite the controversy to the fashion world, since Ms. Philo had built her career and reputation upon her famous minimalist designs. 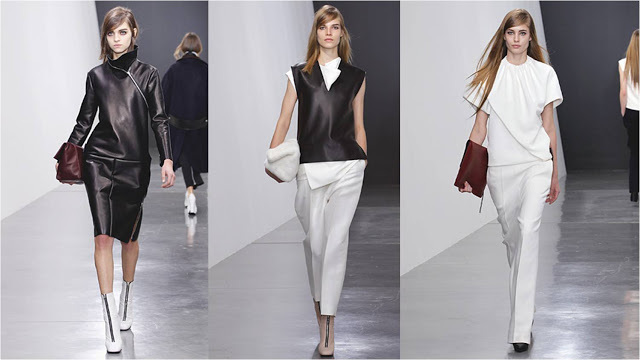 Even just last Autumn, Céline was sporting minimalist, quiet designs. But the vibrant dresses at the recent Fashion Week were like Starbursts and Skittles mixed together compared to the brand’s previous designs which, in contrast, were like dark chocolate(Bear with me. I’m having fun with my analogies.). 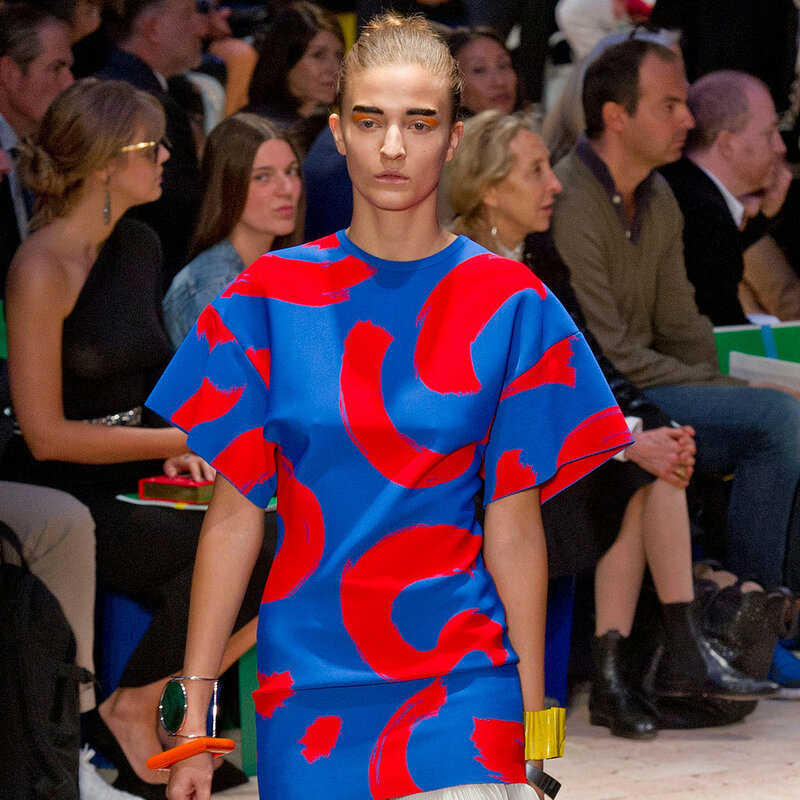 Let’s take a look at some of my favorite pieces from the latest maximalist designs introduced on the runway by Céline. Wow. Now if THAT up there doesn’t shout out MAXIMALISM then what does? Even the eyebrows of the models are unique and bold. All the designs are exotic and fun, and there’s so much to look at. Every photograph up there is a full, colorful masterpiece. The colors match but collide at the same time. There’s a burst of pattern all over the place and I don’t know which part of the eccentric outfit to focus on. But that’s what makes maximalism so interesting. It’s so unexpected. 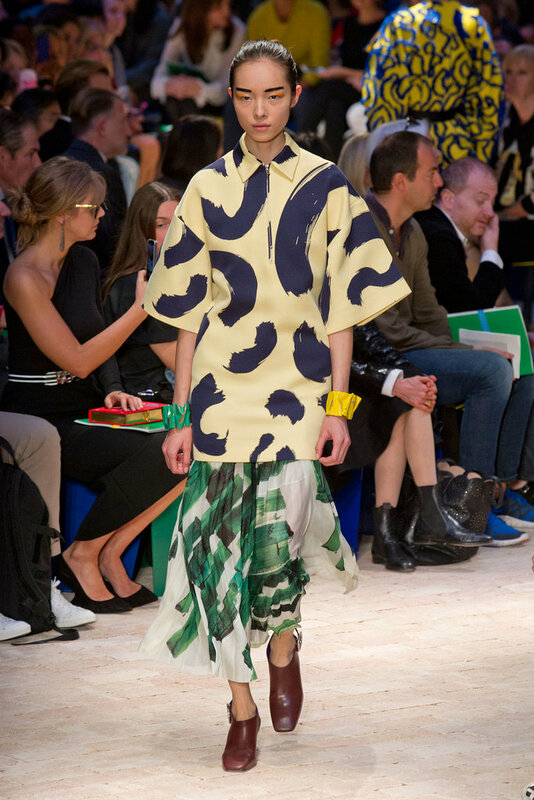 Now that you’ve seen Phoebe Philo’s most recent collection, take a look at what her collection for Céline used to look like in 2012. Notice the contrast? It’s almost shocking that all these designs came from the same designer and the same brand label. It’s stunning how the defining, trademark style has changed in a period of about only a year or so. 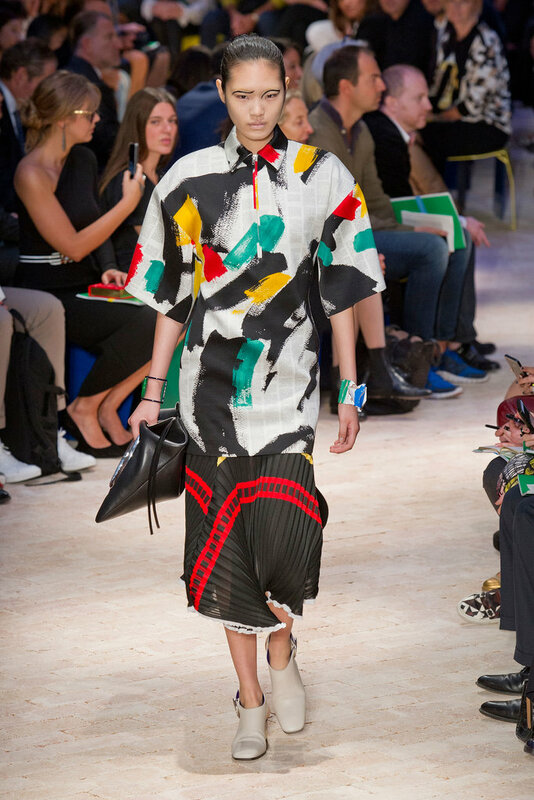 Céline fascinates me because it is a perfect demonstration of the changeability of fashion trends. As I have showed you, the ‘minimalism and/or maximalism scene’ is always changing and developing, even during short periods of time, and I’m planning on cherishing both sides of the fashion scene-but only to the extent where these trends cannot completely replace my own unique style. For more good reads on minimalism and maximalism, check out these sites! If you liked this article, don’t forget to follow, comment, and like for more! Some serious life style here.. thanks for coming to say hello. Haha : ) Thanks for stopping by! Those are some stunning collections! Great post! You put a lot of research into this. Thanks! : ) Glad you like it. website here: flower girl dresses. As you move from the ceremony to the reception n and the party, you will discover the need for a lighter dress that is not restricting.